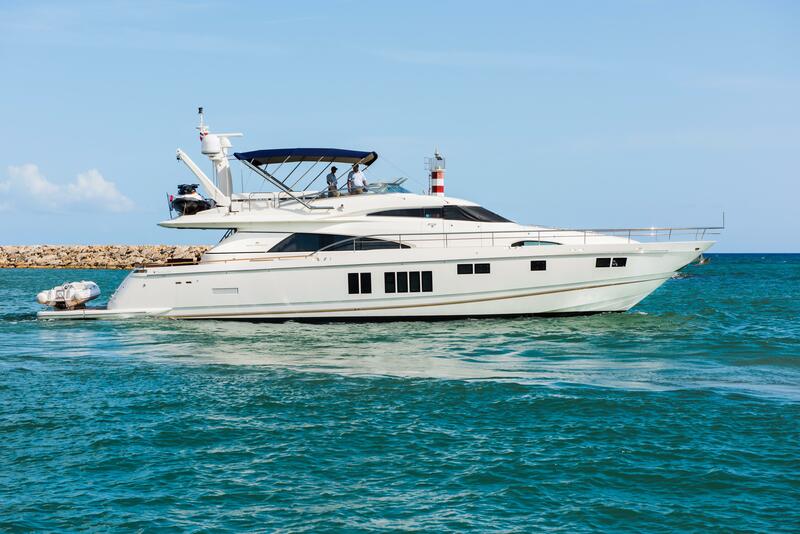 Jack Newington founded Fairline Yachts in 1967. Located in Oundle, England, Fairline has built over 13,000 boats and is highly regarded for British craftsmanship and a passion for detail. 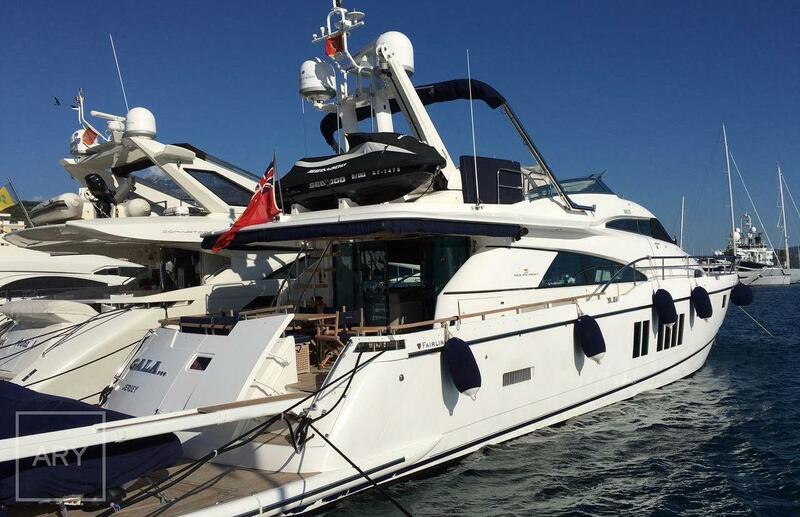 Fairline’s most popular are yachts are the Targa and the Squadron. 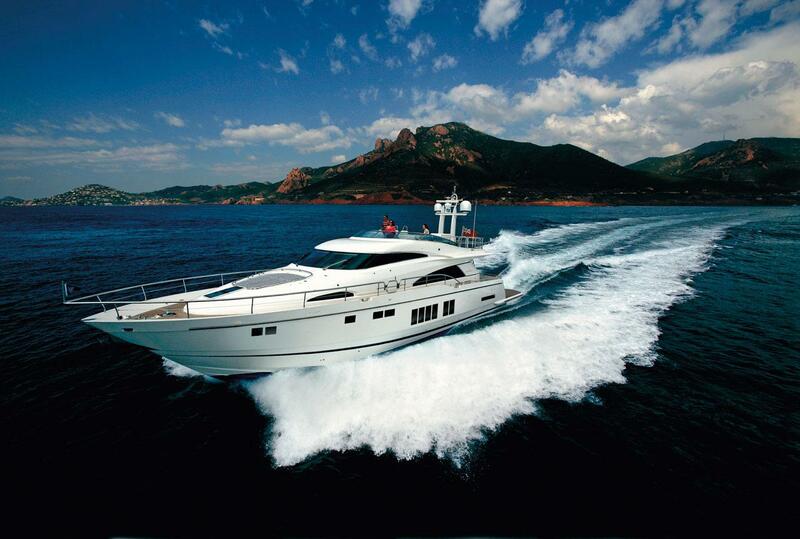 Fairline’s Yacht Division stays up-to-date with design trends, advanced construction, and engineering techniques. 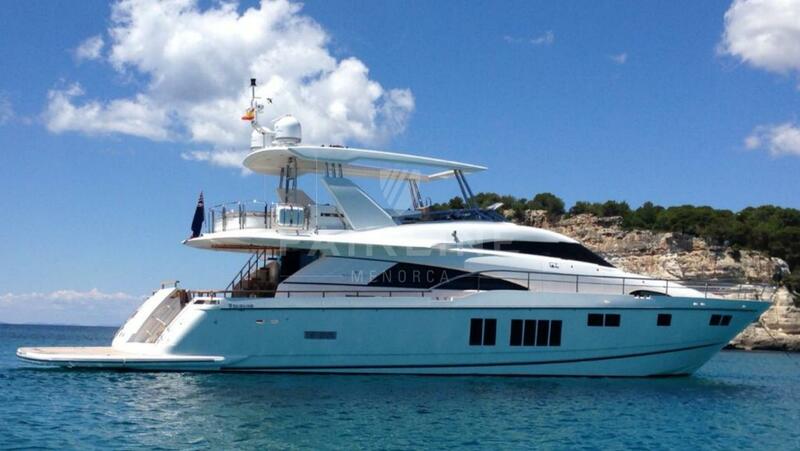 Worth Noting: Fairline exports 85% of its yachts to Spain, Norway, France and America. 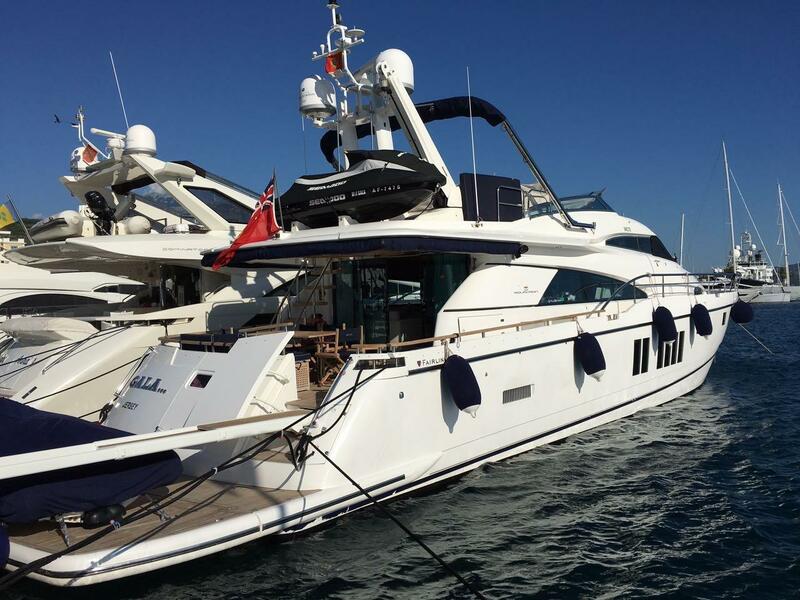 Fairline 43 Phantom 2000 - Current 44' 6" 13' 7 3' 6"
Fairline 43 Targa 1998 - Current 45' 1" 12' 6" 3' 3"
Fairline 46 Phantom 1999 - Current 46' 0" 14' 2" 3' 8"
Fairline 47 Targa 2005 - Current 47' 0" 13' 2" 3' 6"
Fairline 48 Targa 1998 - Current 49' 10" 12' 11" 3' 3"
Fairline 47/50 Squadron 1993 - 1997 51' 0" 14' 8" 3' 8"
Fairline 50 Phantom 2002 - Current 51' 10" 14' 9" 3' 11"
Fairline 52 Targa 2003 - Current 52' 5" 14' 0" 3' 7"
Fairline 52 Squadron 1998 - Current 53' 3" 15' 4" 3' 8"
Fairline 55 Squadron 1996 - Current 54' 3" 15' 3" 3' 8"
Fairline 53 Targa 2012 - Current 54' 11" 14' 7" 3' 11"
Fairline 53 Squadron 2012 - Current 54' 11" 14' 7" 3' 11"
Fairline 56/59 Squadron 1993 - 1999 57' 10 15' 6" 3' 10"
Fairline 58 Squadron 2002 - Current 58' 10" 16' 0" 4' 4"
Fairline 62 Targa 2004 - Current 61' 11" 15' 7" 4' 6"
Fairline 62 Squadron 1999 - Current 63' 1" 16' 5" 4' 6"
Fairline 60 Squadron 2012 - Current 63' 5" 15' 11" 4' 7"
Fairline 65 Squadron 1998 - Current 65' 0" 17' 4" 4' 9"
Fairline 68 Squadron 2006 - Current 69' 6" 17' 9" 4' 8"
Fairline 74 Squadron 2003 - Current 74' 5" 18' 8" 5' 3"
Fairline 78 Custom Squadron 2012 - Current 79' 11" 18' 8" 5' 3"
Jack Newington built Oundle Marina in 1963 and later founded Fairline Yachts in 1967. Located in Oundle, England, Fairline has built over 13,000 boats and is highly regarded for British craftsmanship and a passion for detail. The Yacht Division at Fairline is comprised of specialists who work with design and production teams to stay up-to-date with design trends, advanced construction, and engineering techniques. The first Fairline launched was a 19’ river cruiser in 1967. 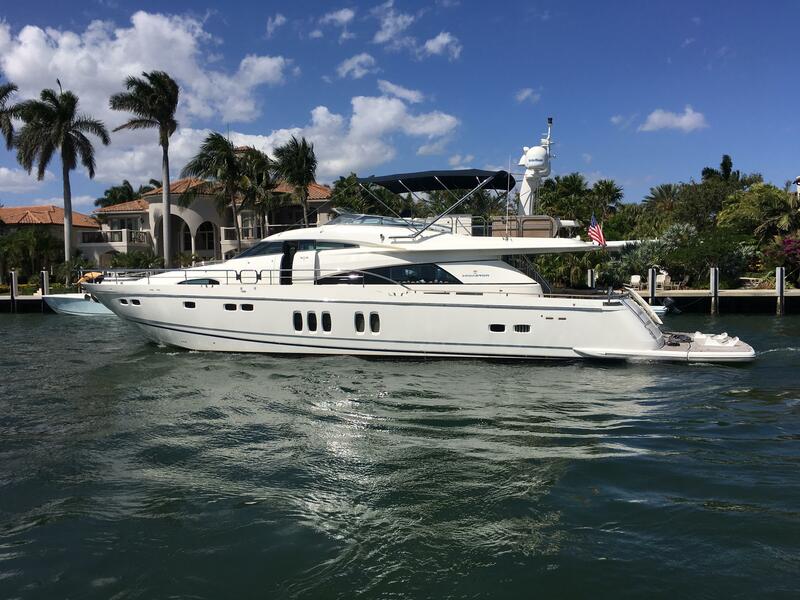 Fairline’s most popular boats are the Targa, known for its power, performance, and sleek styling, and the Squadron, admired for its flybridge, spacious living areas, and sophistication.